From the very beginning, Lakion was meant to be an eCommerce agency of talented developers experienced with Sylius that is able to provide all range of services around the project. And you know what? We’ve accomplished it! In our portfolio we’ve got a variety of applications: standard eCommerce shops, multi-vendor platforms, mobile eCommerce APIs, as well as very custom eCommerce platforms tailored to specific business requirements. What is more, we’ve also helped agencies and IT teams of eCommerce companies to efficiently deliver high quality eCommerce applications on their own by providing them with best suited Sylius trainings and consulting. We’ve been supporting Sylius project from 2014 and whereas 1.0.0-beta.2 release was a huge milestone for us (read more about our journey), it was also the time when Paweł, co-founder of Lakion, has decided to leave the company and run a product business, instead of an eCommerce agency, on his own. It’s always upsetting when a person leaves a company but we keep moving forward and continue our operations with a head full of new ideas. Nevertheless, we wish Paweł all the best on his venture! There is no better way to support Sylius on his road to the stable release than by delivering valuable software to our customers and that’s something we will be fully focused on right now. 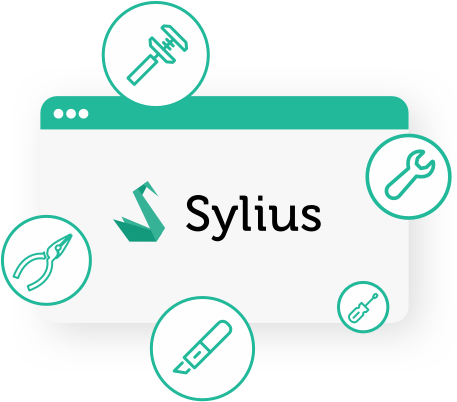 Although we're no longer the official Sylius supporter we still have a team of top Sylius contributors and plan to continue providing high quality services that our customers are used to. We specialize in eCommerce and are open to collaboration on interesting projects, so do not hesitate to evaluate your idea with us! I can also assure that all our current projects will run smoothly as scheduled. Lakion is still going to be a part of the amazing Sylius community and I hope that together we will be able to create a great network of people using this revolutionary eCommerce framework. See you around!